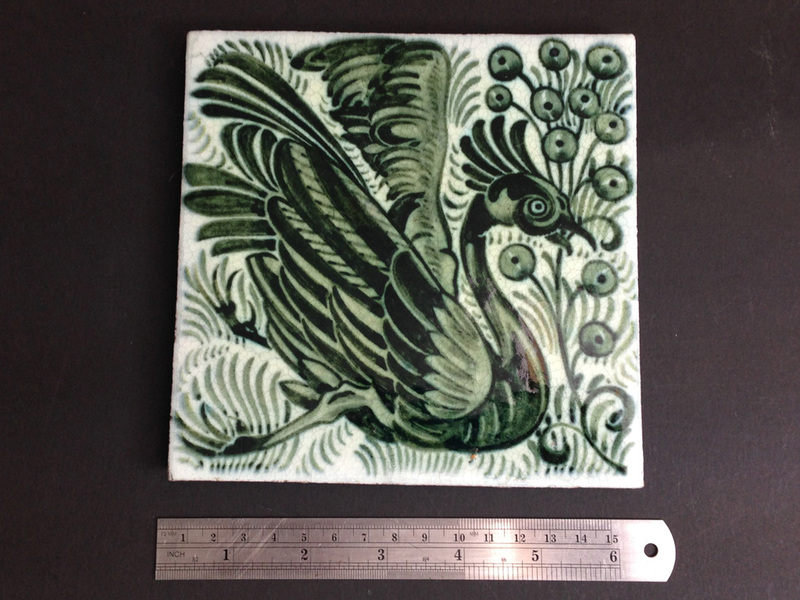 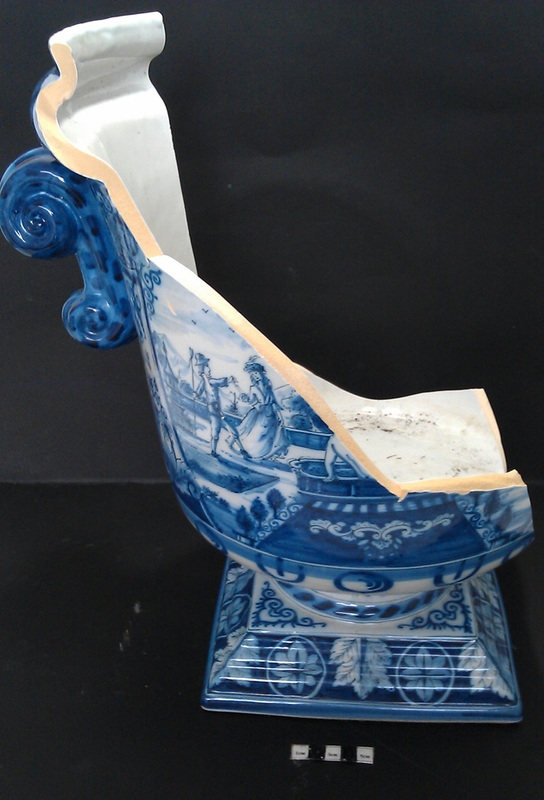 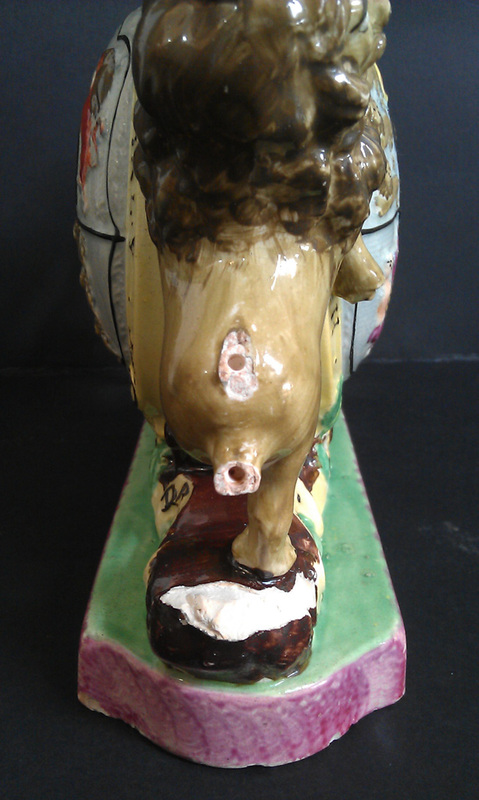 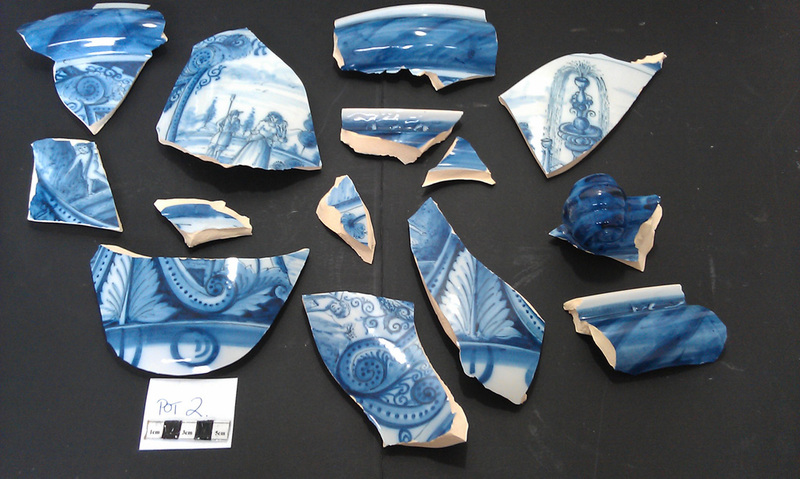 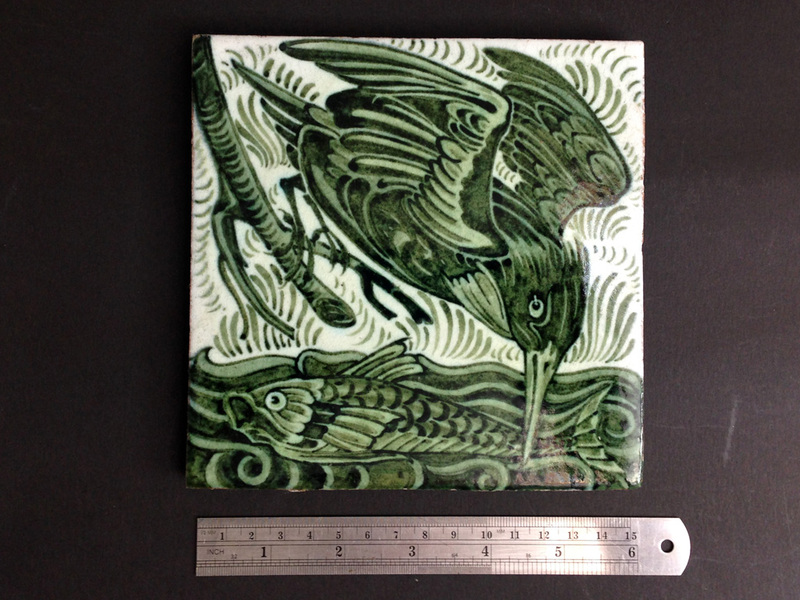 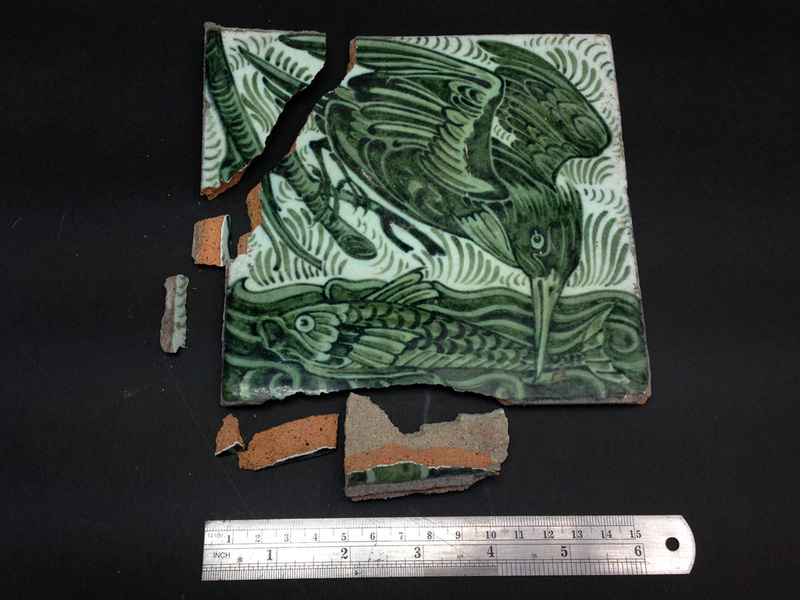 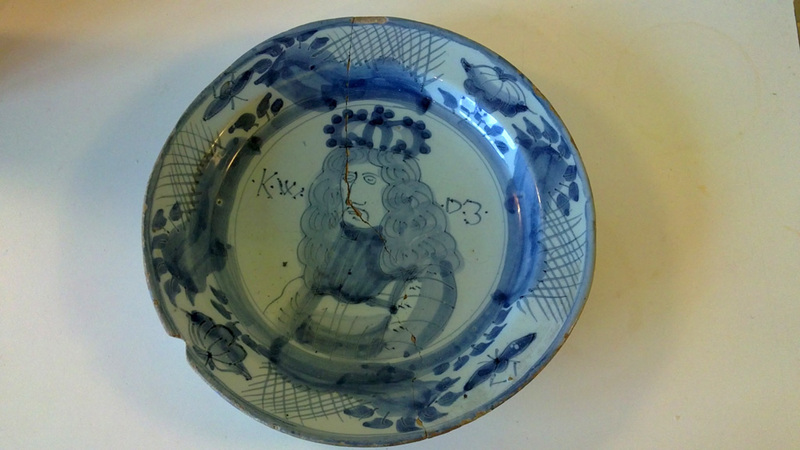 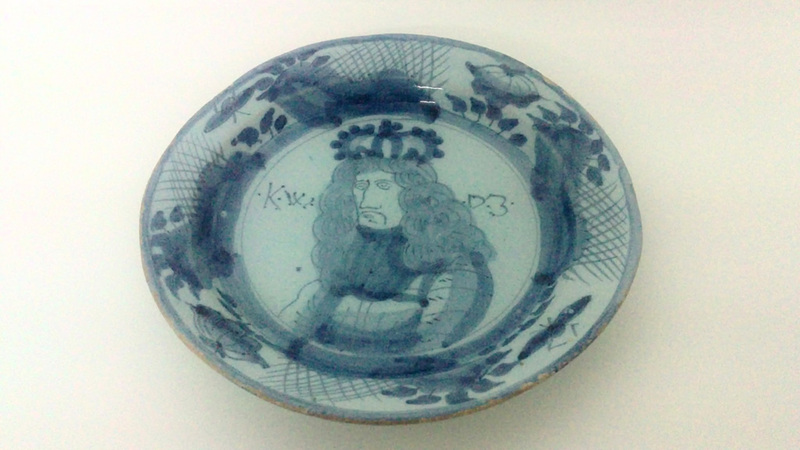 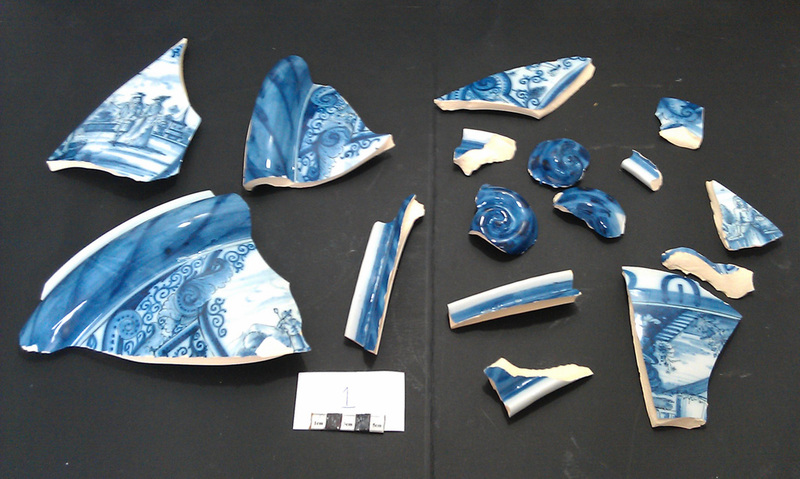 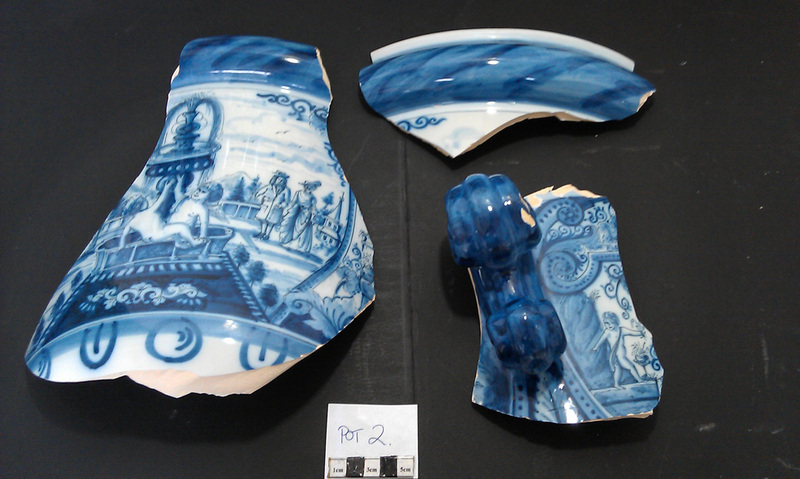 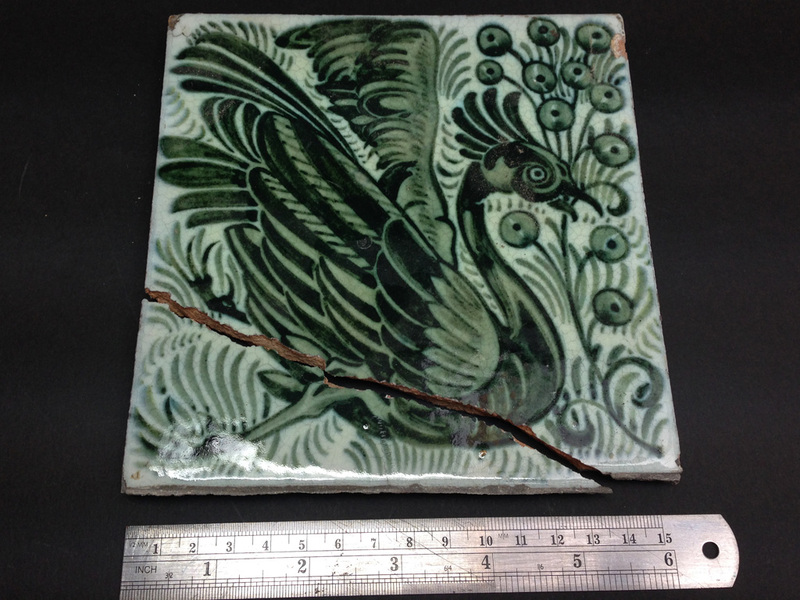 Examples of restoration/conservation work carried out on earthenware objects. 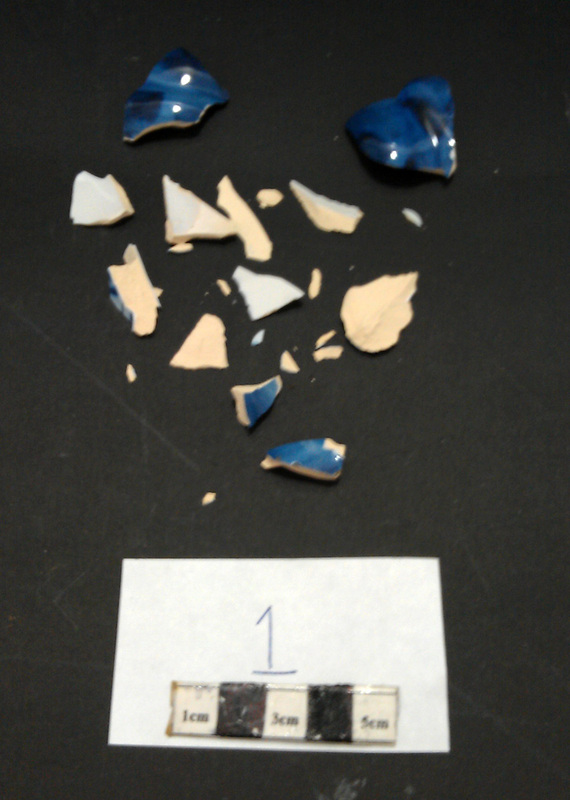 diameter), 10 fragments (fragments of under 2cm) and 12 sherds. 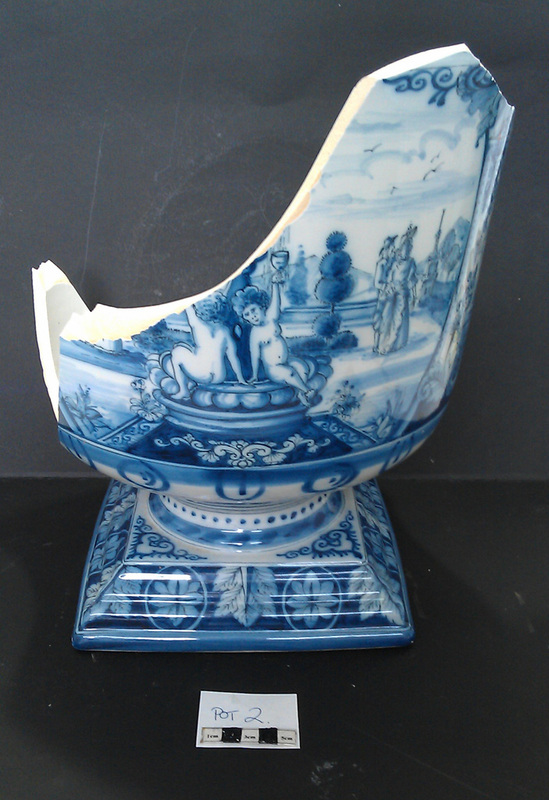 there was also a loss on the foot rim. 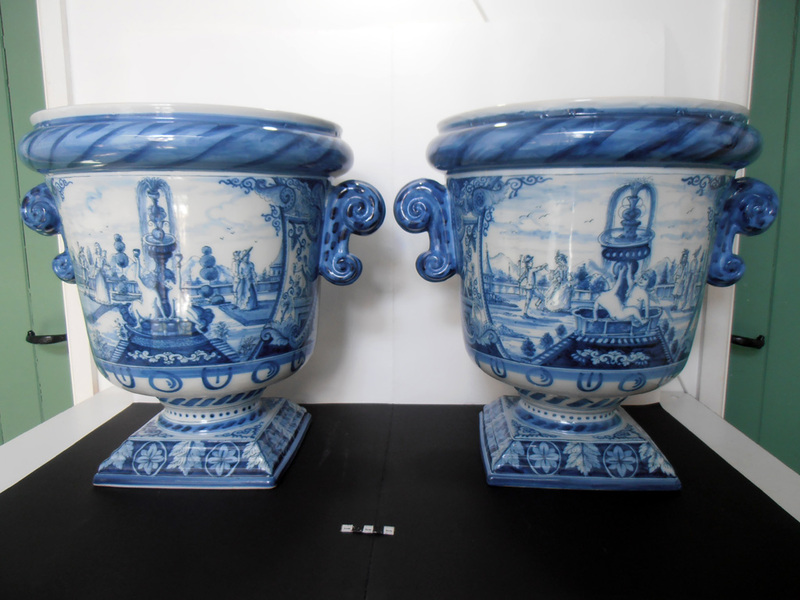 Neither of the urns had been previously restored or conserved. 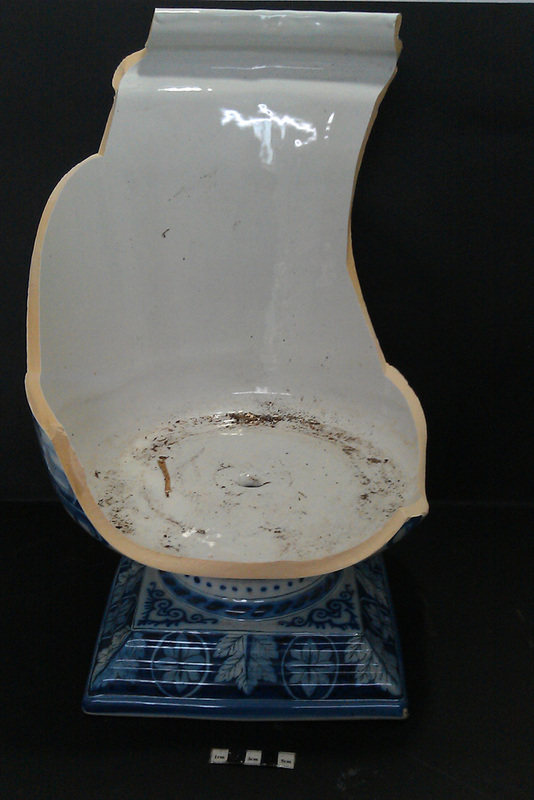 They are made from tin glazed earthenware, which is a low fired ceramic, although this is a porous, friable ceramic body there was only a small amount of staining and surface dirt. 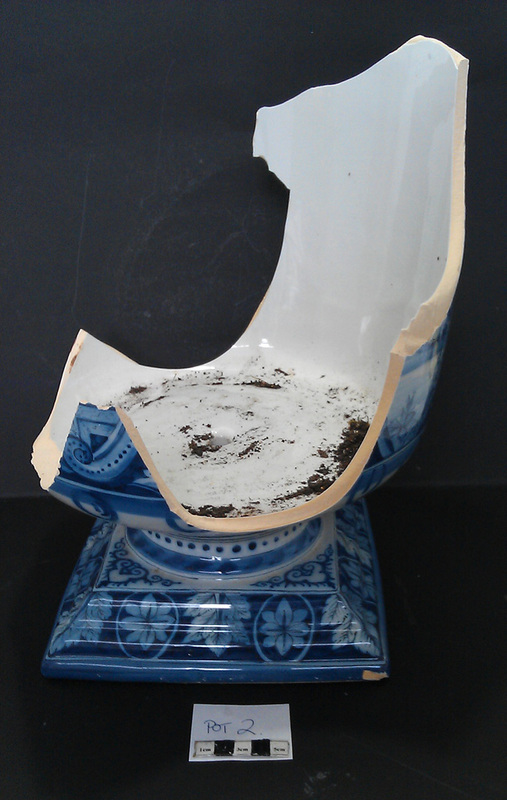 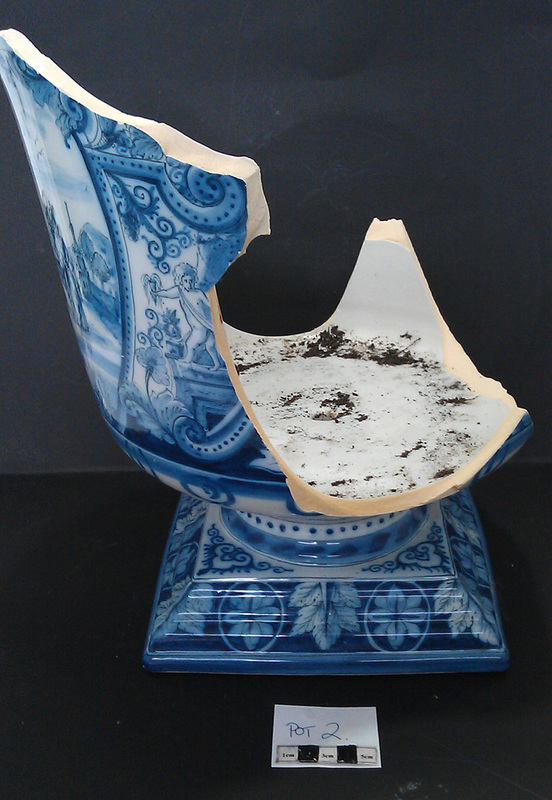 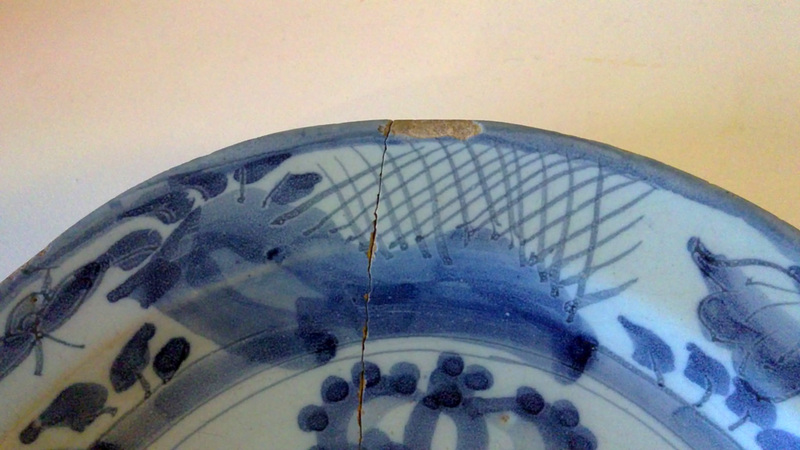 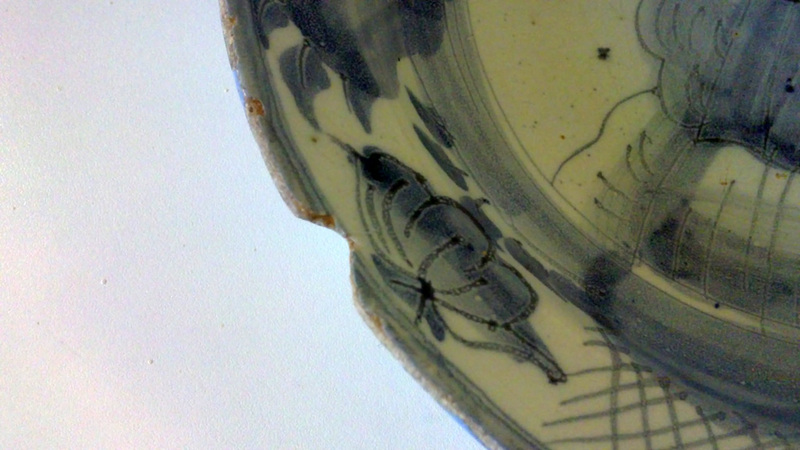 Some of the break edges had glaze losses and small amounts of missing areas of ceramic body. 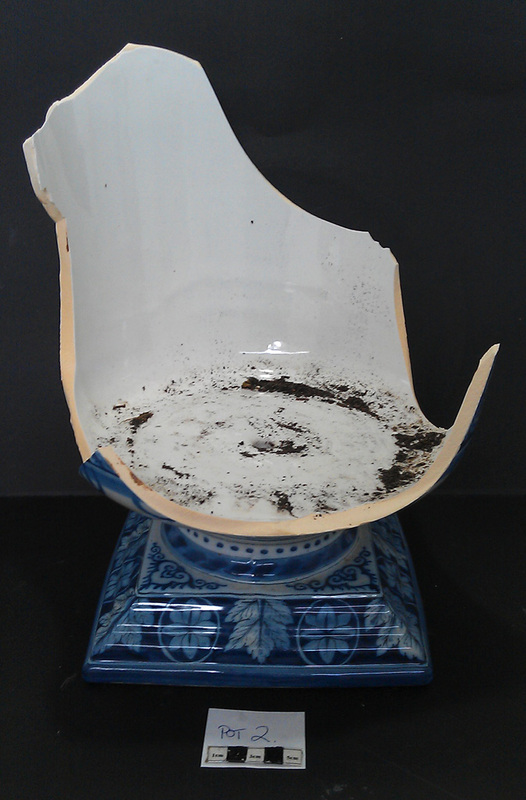 Images have been taken of all the damage for future reference. 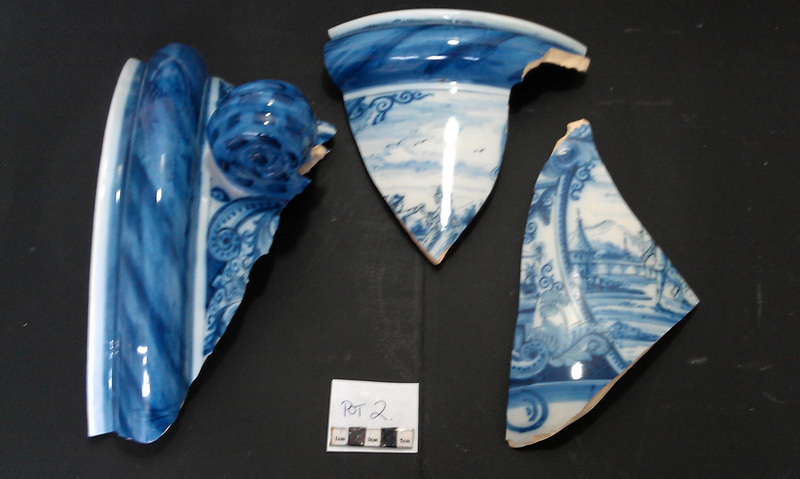 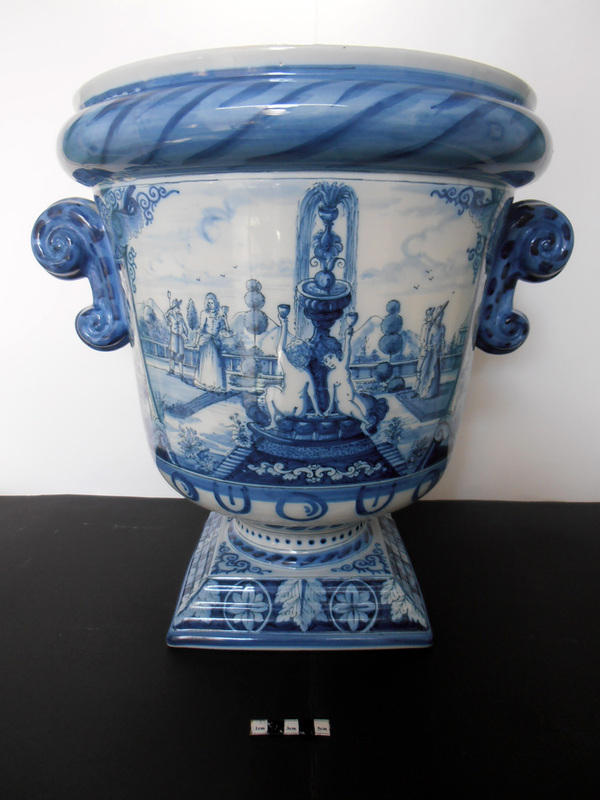 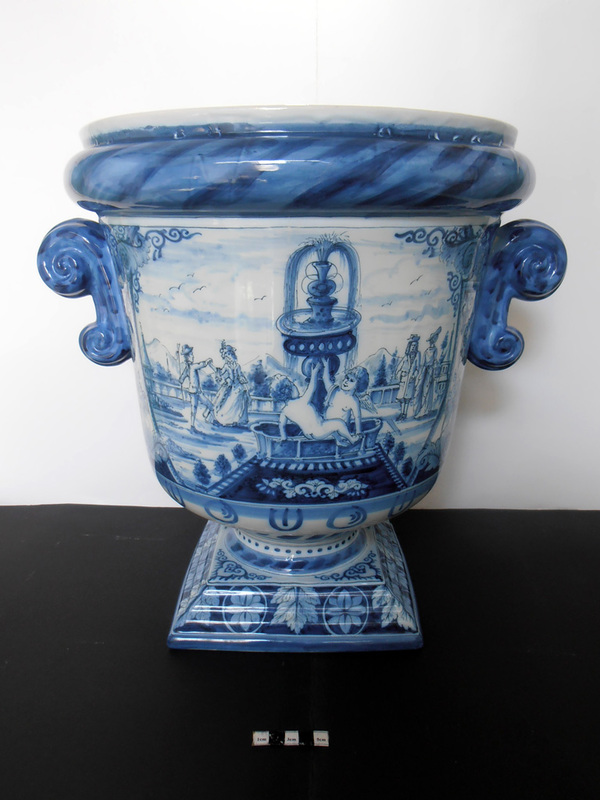 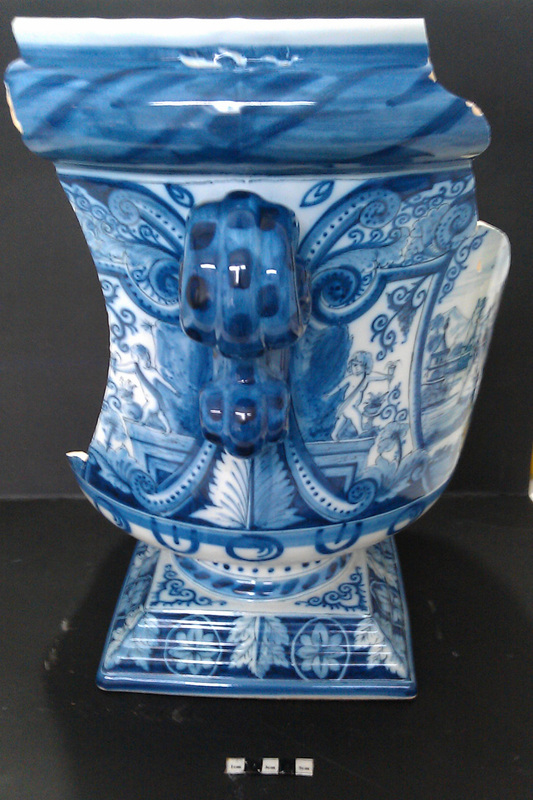 The sections of each urn were identified, a dry run took place, the sections documented and digital images taken. 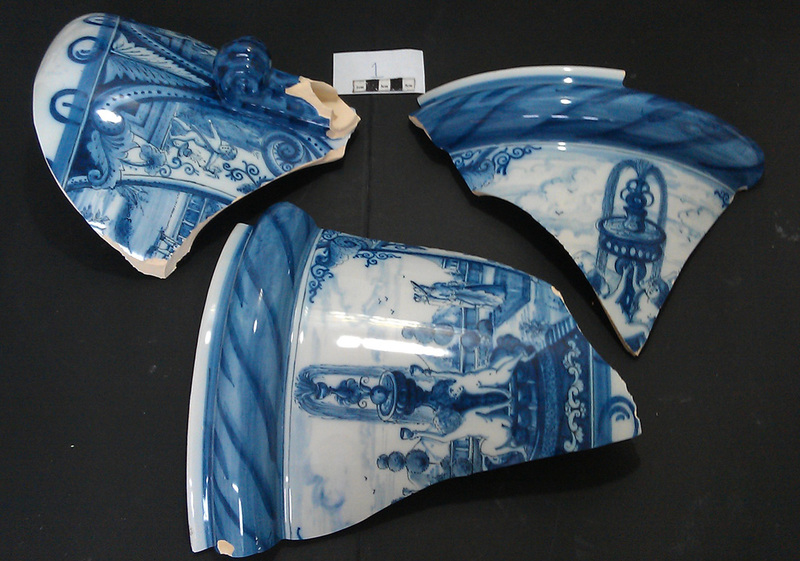 All the broken sections were cleaned with a non-ionic detergent and steam cleaner. 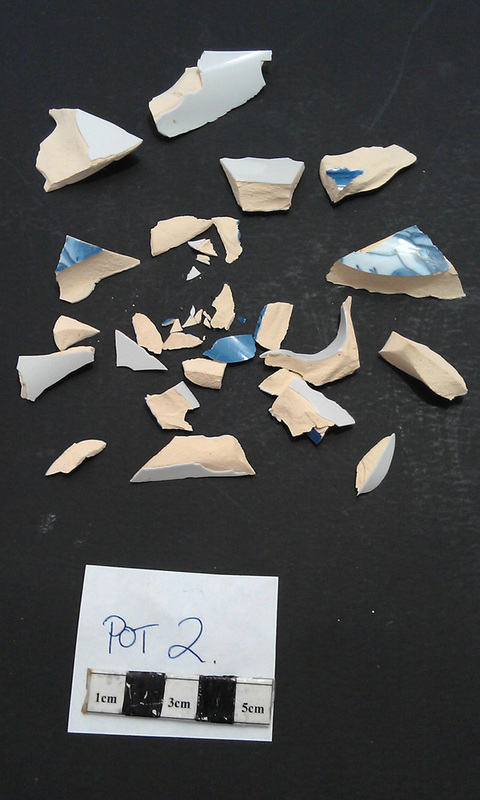 The breakedges were consolidated with a 10% solution of Paraloid B72. 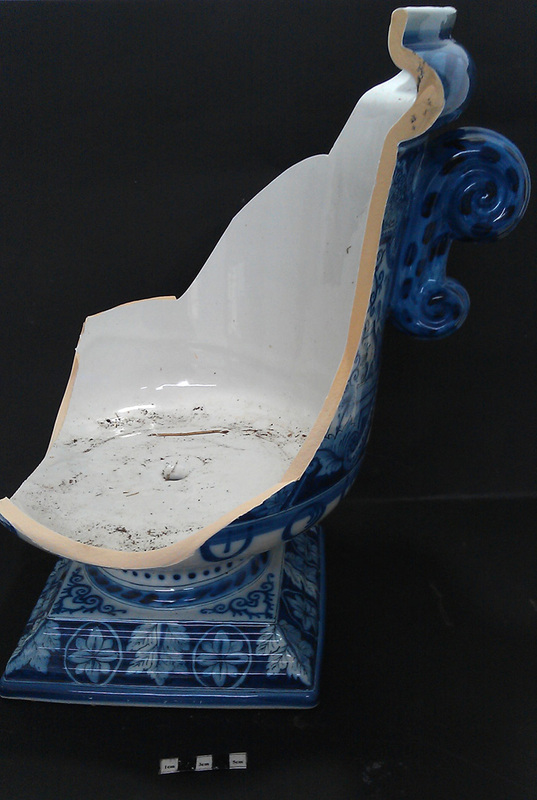 All bonding was carried out with a gelled epoxy resin that gave a strong bond that could be reversed. 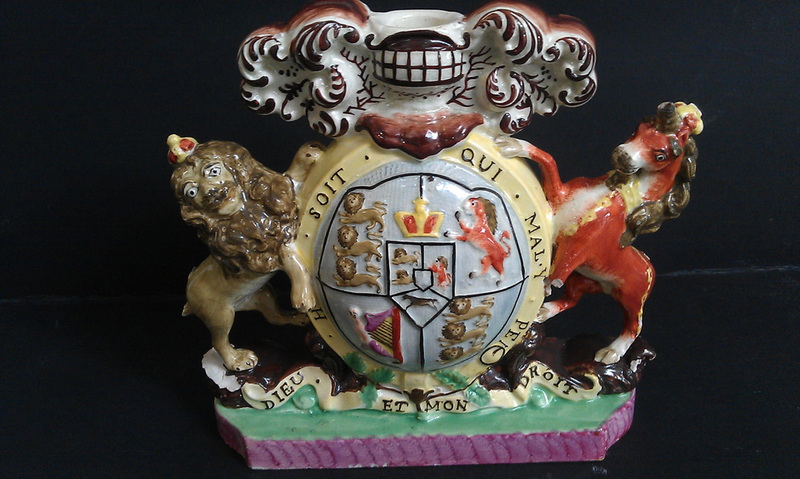 Large core fills were undertaken with Araldite 20/20. 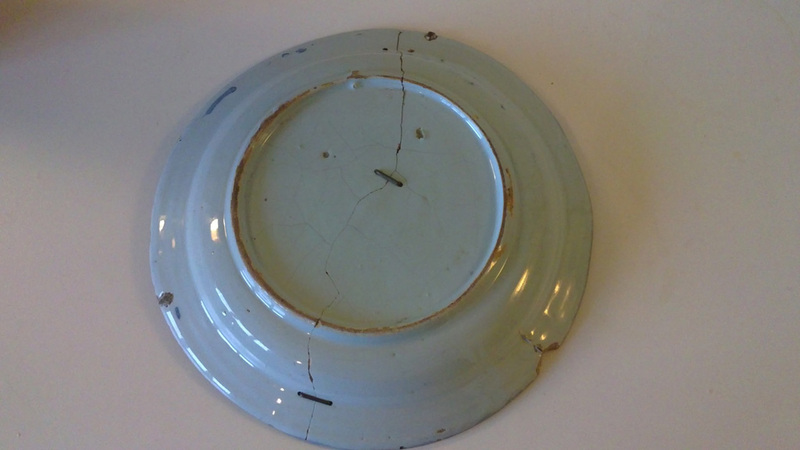 All other filling was undertaken with Fynebond epoxy resin that had been colour matched with dry powder pigments. 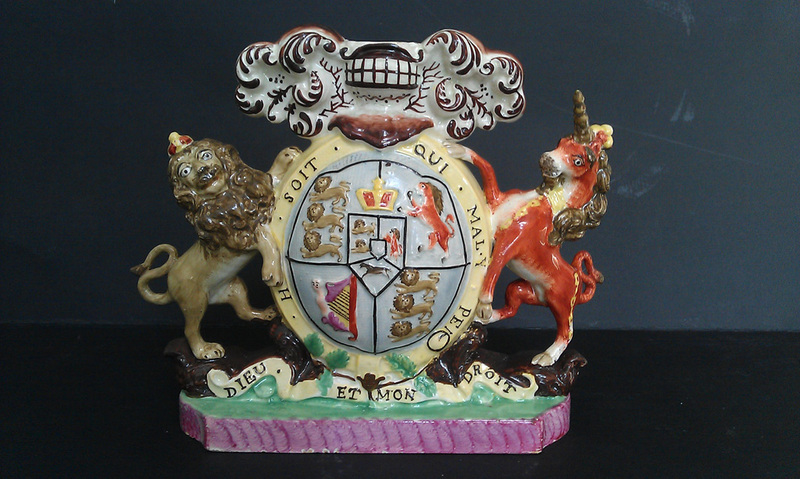 Hand retouching of missing decoration was carried out with water based acrylic emulsion that had been colour matched with dry powder pigments.